8, 10 & 12 Cuscaden Walk. Completed 1994. 202 units. Living and dining - brown or white grey marble tiles. Bedrooms: timber flooring. Bathrooms: Top quality Italian marble. The master bathroom has dual sinks, bidet, white long bath and a shower stall. A large family area which can be used as a study in addition to the 4 bedrooms. 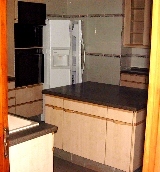 Most units have a central kitchen table, built in oven and microwave. A big fridge space. Some landlords have separated the kitchen to an air conditioned "dry" kitchen and a smaller "wet kitchen", reducing the size of the kitchen. Some of the smaller units have little space for American-sized washer and dryer. Big utility area able to accommodate American-sized washer, dryer and dish washer in this 355 sq. m condo. Big swimming pool, children's pool. Sunbathing is popular with Caucasian expats. Pool as seen from the Autumn block, FF-.01 series. In the afternoon, the living area of floor FF-01 facing looks dark. Tennis court, 24-hour security system, playground, sauna, squash court, BBQ area, basement car park accessed by security card from the lift, gym, jacuzzi, clubhouse. The unique feature here is the big greenhouse called the "Winter block". It is fully air conditioned which allows you to appreciate roses in bloom and to impress visitors. The "Spring block" is said to have the best unblocked panoramic city views of Paterson Towers and other building from the living and dining areas. 1. Upscale interiors and exteriors. 2 smaller rooms on one end and 2 or 3 rooms on the other end, separated by the big living, dining and family area. A 5+1 3821 sq. ft asking $20,000 rent in March 2001. 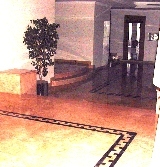 Entry foyer. The master bedroom and 2 bedrooms in background. 2 other bedrooms, dining area and kitchen are to the left of the image. The master bedroom has a walk-in closet which is the 6th bedroom. 2. Sprawling grounds suits kids. The unique "Winter block" which is a air conditioned greenhouse with roses grown. Good for impressing and meeting friends. 3. Great location. Just a 3-min walk to the Orchard subway, Scotts Road and the shopping malls, food and beverage joints. Around a 12-min walk to the American Club. 4. Caucasian expatriate enclave with numerous children. Big clubhouse. lots of sunbathing areas and large pool. 5. Child proof as there are no balconies. 1. High rental/sq. ft compared to other newer upscale condos. A 4-bedroom of 267 sq. m rents around $15,000. The bigger 355 sq. m units rent above $20,000. The 572 sq. m penthouse rents around $25,000. Lots of expatriates and children. 2. Some units have no views. No balconies, but suits expats who are concerned about child safety for small kids. There is no private lift nor lift access card to go direct to the apartment, a feature of modern upscale condos. However, visitors are prevented from entering the basement car park if they don't have the card to the basement elevator. Spring block has bright unblocked views. High windows, unblocked views from the separate dining area in the Spring Block. The living area is to the right and the family area is opposite the living area. Usually 2 bedrooms near the dining area and 2 next to the living area. Case study: Is the "management fee" to the Tenant's consultant a kickback? This case study is interesting for realtors and landlords as it appears to have elements of 'secret commission' although it does not involve the two co-broking agents. "We pay $4,500 rental for this condo and expect a high standard of cleanliness on taking over from the Landlord and quality furnishing! " exclaimed Mr Bridge in a booming voice and eyeballs popping out, showing all eye-white. There were 'dust' in the new refrigerator, the toilet and in the kitchen cabinets of this new Condo. The Landlord refused to buy the 2 head-boards for the divan beds ($450/king-sized bed wooden frame headboard) and 3 table lamps saying that the furnishing budget had been exceeded. Mr Bridge can be quite intimidating but he is a gentle giant. There was no prior agreement to the quality of furnishing, the type of beds and living set and the budget. Mr Bridge, being an American giant over 6 foot 6 inches tall, needed extra-large king-sized mattress (American size at 6' x 6.5') and extra wide living set. Most sets in Singapore cater to Asians with small bottoms! Mrs Bridge wanted to see and test the comfort of mattresses, living and dining sets and Asiahomes Realtor had to spend the whole day to take the Tenant shopping for the living and dining set. We visited a maker of living sets and showrooms. Mrs Bridge slept on the mattress placed outside the shop in Joo Chiat referred to by the Landlord. She was not bothered about her public exhibition. The Landlord approved the mattresses, the top quality 3+2+1 100% leather living set (i.e. not half leather as in most cases) at S$3,300 with Mrs Bridge paying $300 herself so that her husband can have a comfortable 2-seated and quality. The dining table (glass top) with 6 chairs cost S$1,400. Purchase of the new dryer and a "Samsung 25" TV" exceeded the Landlord's furnishing budget and he refused to pay for anymore items! The Landlady was not happy with the "American-sized furnishing" as it costs more. The Landlord wanted to withdraw his offer to rent. The Landlord was advised to be patient to settle the deal. Over 3 months' vacancy, 3 agents including Asiahomes Realtor given the keys, Owner advertising himself. Asiahomes Realtor advertising and open house every weekend for one month. This was not a popular unit since it faces the pool and has a tennis court at its back and being a ground floor unit, receives poor response. This case was a money-loser for Asiahomes Realtor. Mrs Bridge was an excellent American Tenant, willing to accept the Landlord's dining table but there were no soft-seated dining chairs and it costs more to buy dining chairs. The Landlord's living set was acceptable but the Landlord did not want the Tenant to inspect it in his house. In the end, the Landlord approved new ones. Since the budget was "exceeded", our Asiahomes Realtor was told by the Landlord that they would not get their payment till one month later although the Landlord had agreed to pay after signing of the lease agreement. This was not right but we had no choice. Mr Bridge is the employee of a multinational company. This Company has a "Consultant". The Consultant accompanied the realtor for house-hunting. Mr Bridge closed on the condo unit marketed by Asiahomes Realtor. The Consultant had a "Memorandum of Understanding" whereby the Landlord agreed to pay her S$500/month during tenancy. The Landlord was happy to pay the $500 and to receive $4,000. Total "rental" payable by the company was S$4,500. "There appears to be a legal void, but I need to review the Consultant's memorandum of understanding " said the Landlord's son, a graduate of a British University with a first-class honors. He said that the Consultant's managing fee for rental unit was very high, 20% of the Landlord's net rental and even top auditing firms don't charge such fees. His father said this was a kickback. Mr and Mrs Bridge were not aware of the $500 arrangement. Should they be informed in view of the fact that Mr Bridge said he was paying $4,500? Is a Memorandum of Understanding to pay $500/month from the Consultant for providing services to Mr Bridge enforceable? Is it a Management Contract in essence? Can the Landlord stop payment? Is it relevant whether the $500 payment should be disclosed to Mr Bridge? Is this a "kickback" and therefore corruption on the part of the Consultant? Should the CPIB (Corruption Practices Investigation Board) be informed? There was much emotions involved as the rental decline coupled with the high mortgage rates and high vacancy rates had stressed out all Landlords. This is an unusual case as the Consultant did not want Mr Bridge to know of the arrangement. The $500/month management fee appeared excessive as none of this amount apparently would benefit Mr Bridge. To resolve the matter, Asiahomes Realtor asked the Consultant to pay for the headboards and the 3 lamps. 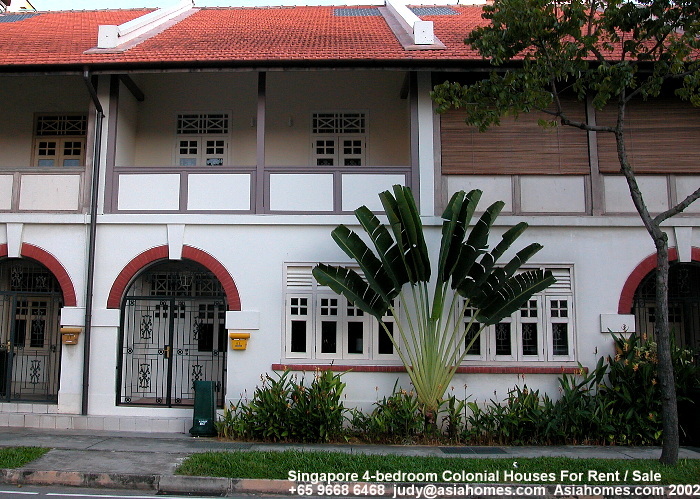 Asiahomes Realtor also advised the Landlord that he agreed to rent at S$4,000 voluntarily and whether the Consultant gets $100 or $1,000, will not be relevant as there are proper invoicing and receipts. Disclosing to Mr Bridge may upset him more? The ball is now with the Landlord's lawyer son and if there are legal developments, readers will be informed. For newcomer expatriates, there is a need to specify the quality and type of furnishing as well as to the furnishing allowance. 1. There are no strict rules but generous Landlords give 2 months' rental (around S$8,000 for a 2 bedroom and $10,000 for a 3-bedroom) as furnishing allowance which excludes the cost of curtains, lighting, refrigerator, dryer, washing machine and television. 2.1 Quality all-leather living set 3-seated + 2-seated + 1 armchair from an upmarket furnishing company with big display showroom: S$3,000. *purchased from Joo Chiat Road direct from supplier of mattresses, but you may good bargains from shopping malls. 3. If you leave buying of new furniture to the Landlord, please be prepared for a cultural shock as colours may be gaudy and the quality may be below your life-style. It is best for the Landlord to shop with the Tenant, leaving the Realtor out as there seems to be so much misunderstanding and unhappiness as has happened in many cases including this one.